Viknesh Vijayenthiran January 18, 2018 Comment Now! 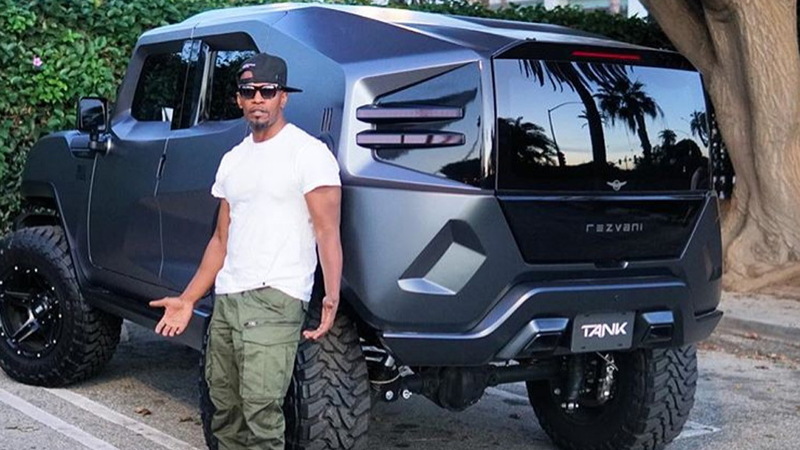 Jamie Foxx is someone who's not shy about posting photos of what he's currently driving on his Instagram page. For instance, last summer he posted a photo of himself posing with a Bugatti Veyron he had wrapped in gold. 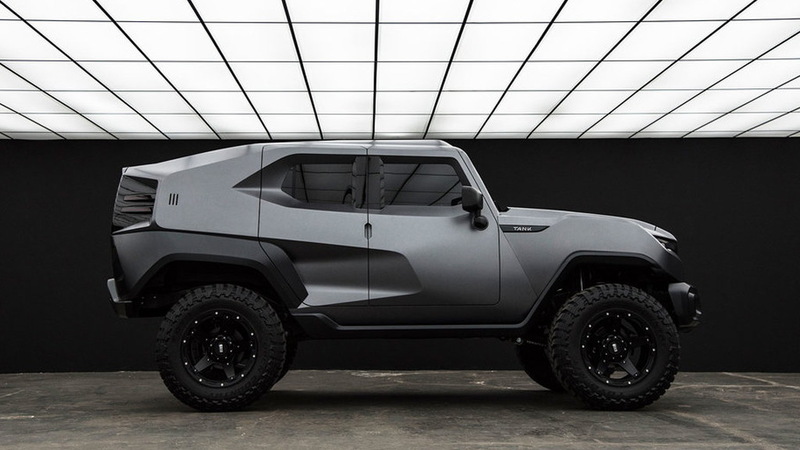 Fast forward today and it appears his current ride is a Rezvani Tank. We're not sure if the actor actually bought the Tank or was simply borrowing it for an extended test drive. That's because it doesn't appear to have a license plate. Instead, it has a small shield that just says “Tank” where the license plate would normally sit. Nevertheless, Foxx has been spotted on multiple occasions driving the wild SUV around Los Angeles, most recently leaving the swanky Japanese restaurant Nobu in Malibu. The Sun speculates whether Foxx picked up the vehicle to celebrate turning 50 late last month. 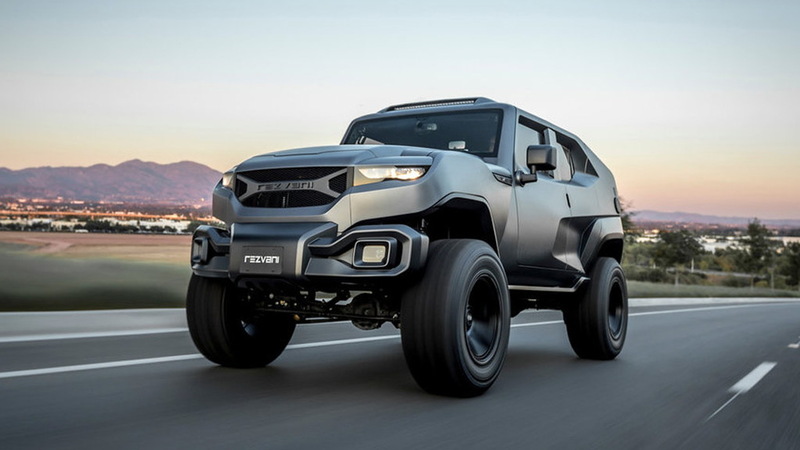 He wouldn't be the first celebrity to order a Rezvani. Some readers will recall that the Californian performance brand sold its very first car, a 500-horsepower Beast, to singer Chris Brown. That was back in 2015. The Tank also has 500 hp on tap. That's if you get the version powered by a 6.4-liter V-8, which starts at $178,000. If you're happy to live with a 285-hp V-6, then you'll only have to pay $146,000. Underpinning the Tank is a JK-series Jeep Wrangler. 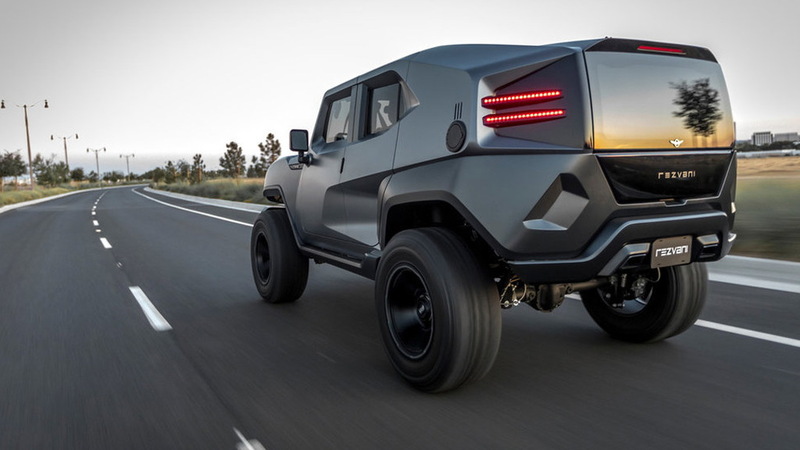 Rezvani has replaced both the exterior and cabin of the Jeep and even added a set of rear-opening doors. 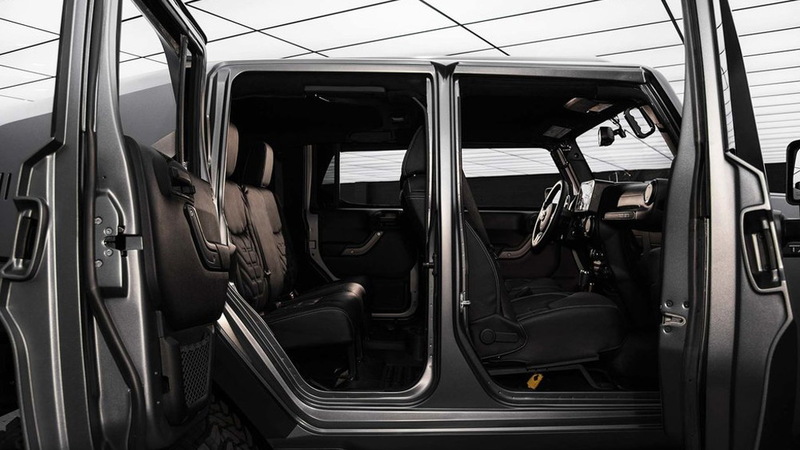 Buyers can also choose to add some serious armor protection including B6 glass, Kevlar body panels, and a Kevlar fuel tank.